Wish you could track and grow your group’s impact in the world? Well, now you can. 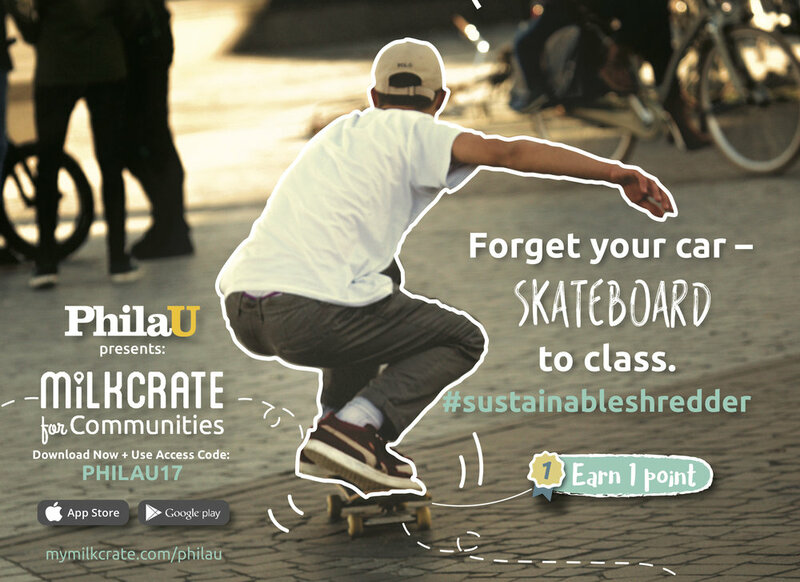 Our fully-customizable platform turns your school’s impact or sustainability programs into a fun, trackable game for hundreds, or even thousands, of students to compete, learn, and grow together. Activities that can be turned into challenges include visiting specific locations, attending events like volunteering, and reading articles. Our easy-to-use admin dashboard gives clients the ability to customize their users’ impact challenges and reward their community around their values and impact goals. With our app, it’s easy and fun to gamify doing good. Read more about our education-focused clients here. Many of our education clients use their app as a way to encourage impactful behaviors on and off campus, like suggesting sustainable activities and providing opportunities to volunteer and engage with the local community. An app like this allows you to easily craft a culture of impact. Through your students' engagement, you will have real data about your program or school's impact. Share an authentic message around your values and craft a culture of impact to attract new students and their families using verified and quantified analytics provided by the platform. According to “The Princeton Review 2016 College Hopes & Worries Survey Report”, 61% of parents and college-bound students say that information about colleges’ commitments to environmental issues contributes in some way to their decision to apply to or attend a university.